The Stunfest, which was created in 2005 by 3 Hit Combo, an association based in Rennes, was at first a simple brawl games tournament. 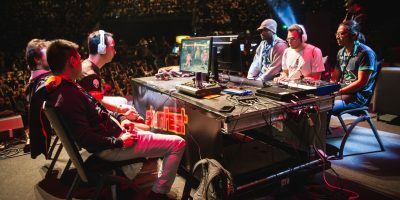 The Stunfest grew rapidly to become a much larger event, crossing the video game cultural diversity to serve a common goal: encourage the various audiences to question their relationship to a constantly evolving common cultural object. 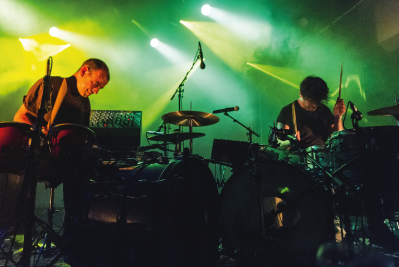 Thanks to increasingly rich and varied programme and a growing audience, the local festival turned into an international event, and has settled in the Liberté, in the heart of downtown Rennes. It gathers some of the world’s greatest gamers, enthusiasts, creators, researchers along with more than 12.000 visitors. 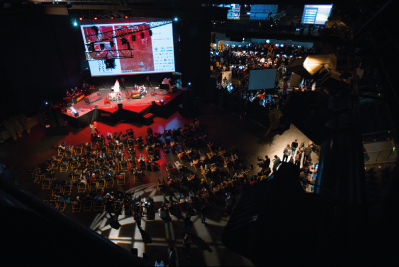 The Stunfest is today the space for an increasingly enriching exchange between every stakeholder of the contemporary video game scene. The Stunfest also positions itself as a great supporter of independent creators, whether French or from anywhere in the world. The festival needs to do so, since the will behind it is to promote and make available the full richness of the video game media. A large area is dedicated to independent projects and creations to share with the audience an alternative culture to the blockbusters. The Versus Fighting (VS in the language of the wise) is undoubtedly one of the main characteristic of the Stunfest for over a decade now. This versus fighting tournaments attracts gamers eager to challenge each other with love and virtual punches. The VS area is a place where conviviality blends with sweat. The video game in a full cultural media. 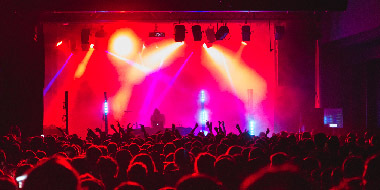 Therefore, the Stunfest has been offering a musical scene since 2007, where any kind of music can be played—as long as it is related to the video game (like, obviously). From chiptune to symphonic orchestra, many artists from everywhere have performed on the musical stage of the festival, sharing the same passion for music. It is one thing to finish a game, it is quite another to master it to the smallest detail. 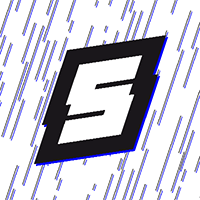 The superplay is an alternative practice of the video game based on performance: either finish the game as fast as possible—the speedrun— or try and break the record of a game—the scoring. These video game performances are commented live so that the audience understands what’s happening on screen, all in the brotherly and festive ambience. Fundamental relic of our video game and computer cultural heritage, retrogaming has been a key aspect of the Stunfest for years. Just like in a time machine, you can visit in this area the anachronistic atmosphere of the arcade rooms. And of course, you can play the arcades, alone or against other gamers of all skill levels in old school tournaments! 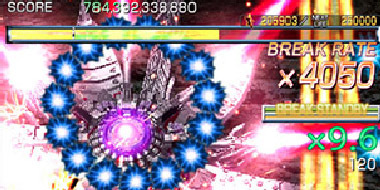 Wasshoi Europe is an important part of the Superplay. The best Japanese Shoot’em up gamers are eagerly awaited in Europe and in this case, in Brittany! 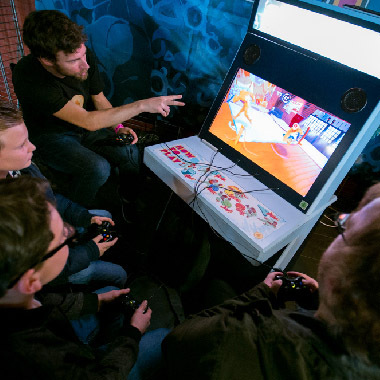 Several arcade, PC and console game stations are available to the public, and superplayers will perform with their favourite games on stage. 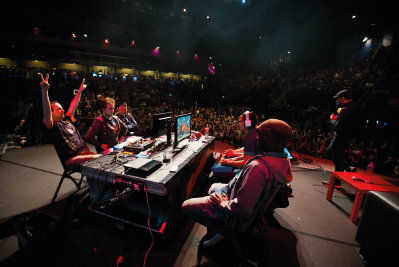 The Stunfest is a unique opportunity to gather around games, debates regarding current gaming, politic, aesthetic, economic and cultural issues of the video game universe. 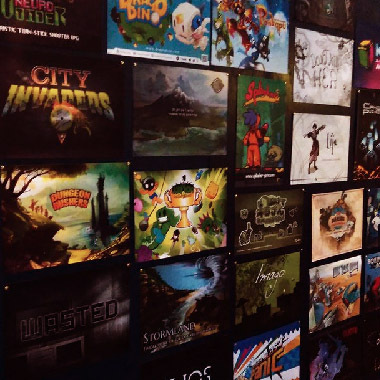 And to discuss these complex topics, the festival invites passionate video game stakeholders (game designers, art directors, developers, composers, amateurs and professional gamers), as well as researchers, lecturers, journalists and bloggers. Since 2016, the conferences have changed location to comfortably settle in a large 250 seat room in the Maison des Associations, right across the street. 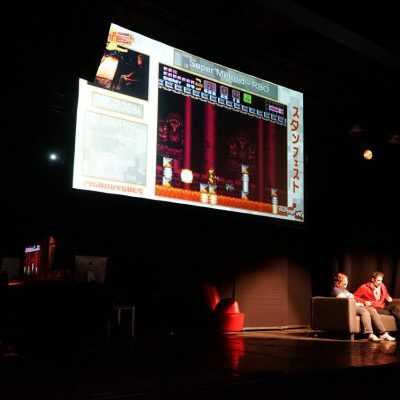 Since 2016, the Stunfest festival has been hosting a more specific, professional event: the Video Game Creation and Development Meetups, ADDON. A time to approach the video game in its artistic, creative, technical or conceptual aspects; in the form of workshops, meetings and discoveries, so that everyone can enrich their production skills. ADDON is co-produced by 3 Hit COMBO and Atlangames.